Medical history was made in Jamaica last year when three kidney transplants took place at CRH, the first step in the plan to develop a sustainable kidney transplant centre for the people of Jamaica with kidney failure. 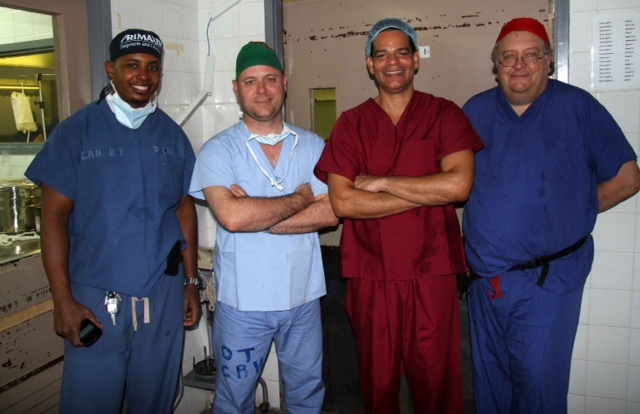 A team of kidney transplant surgeons, kidney specialists, nurses and operating theatre technicians are giving up their spare time again to travel to Jamaica with TLC. TLC helps save lives by setting up kidney transplant programmes in countries that have the infrastructure but not the expertise to run a kidney transplant programme. A transplant gives patients the opportunity of a new lease of life away from a dialysis machine. The volunteer team is sponsored by Sandals Resorts who are accommodating them during their stay, and CHASE. The project is also receiving the support of the National Health Fund. Fundraising continues as the plan is to continue the project and transfer of skills over the next 2 – 3 years.